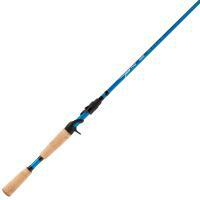 These St. Croix Ice Rod Specials are being offered at deep discounts. These demo rods have never been fished, but have been lightly handled. All rods carry the original manufacturer's warranty. 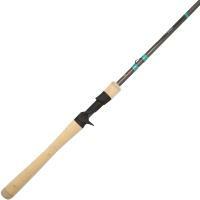 These St. Croix Fly Rod Specials are being offered at deep discounts. These demo rods have never been fished, but have been lightly handled. All rods carry the original manufacturer's warranty. 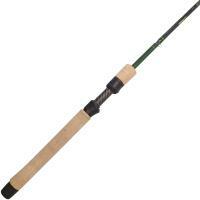 These St. Croix Casting Rod Specials are being offered at deep discounts. These demo rods have never been fished, but have been lightly handled. All rods carry the original manufacturer's warranty. 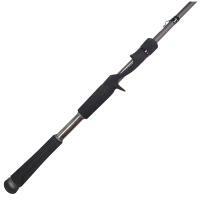 A fishing rod is a stick-like piece of fishing equipment used by an angler to manage and control fishing line, which is stored on a fishing reel and mounted to the rod. 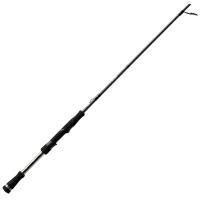 Fishing rods range in size from 18 inches up to 20 feet and can be built with exact specifications and characteristics for specialized uses. Fishing rods have been around for thousands of years in crude forms, made from any readily available wood, becoming increasingly sophisticated as materials and technology advance. 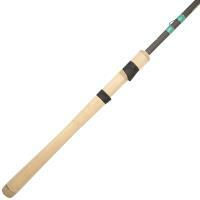 Bamboo became the material of choice for producing lighter and more flexible fishing rods, and remains an option for nostalgic fishermen and rod manufacturers today. Modern fishing rods are constructed from fiberglass, graphite, or carbon fiber in the never ending pursuit of strength, sensitivity, and durability in lightweight configurations. 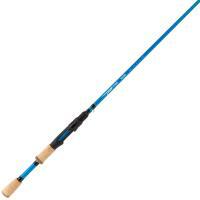 The main part of a fishing rod is the blank, which is the rod or sections of a rod without any added parts. Blanks are rated for power and action. Power relates to the strength of the fishing rod in reference to the weight of lures, as well as the fish they can handle. 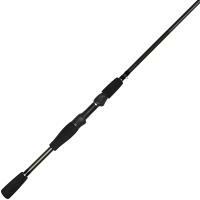 A heavy fishing rod not only allows an angler to throw a heavier lure than a medium fishing rod, but it can withstand more of a fight when trying to land or control a strong, heavy fish. 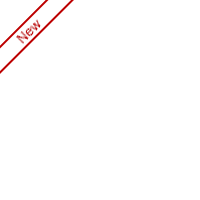 Action is in reference to the flexibility of the blank, in both casting and on the hookset. 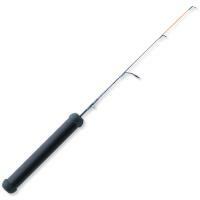 A fast action fishing rod will pull fast and tight on the line for a quicker hookset, and a slow action rod will have a softer, almost delayed hookset. Longer rods can act as shock absorbers when fighting strong fish with light lines, whereas shorter rods with heavier lines offer greater leverage for maximum control and strength. 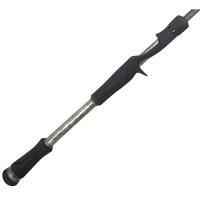 Components attached to a fishing rod blank include the handle, reel seat, hook keeper, and line guides. Line guides are small loops or rings permanently attached to the blank at specific intervals to guide the line to and from the reel. 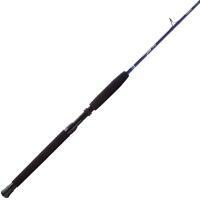 They also force the rod to bend as pressure from the terminal tackle or a hooked fish increases. 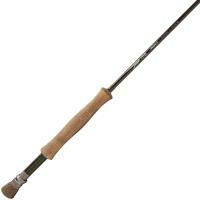 Some fishing rods have plain cork or foam handles where the reel is mounted in place by use of sliding rings or tape. 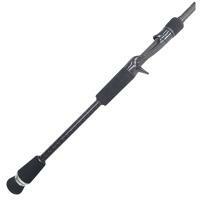 Most fishing rods feature permanent reel seats to attach the reel at a specific point on the handle. The location of the reel seat can drastically affect the leverage and comfort for an angler while casting and retrieving line, and while fighting a fish. Hook keepers are small loops on some fishing rods, and are designed to have a lure or hook temporarily held in place for travel or storage. 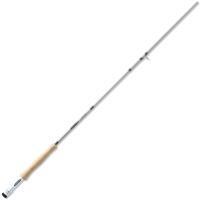 Fishing rods are manufactured for specific techniques and species of fish, as well as for use in freshwater or saltwater. The rod models available at FishUSA include spinning rods, casting rods, trolling rods, offshore rods, surf rods, fly rods and spey rods, centerpin rods and ice fishing rods. 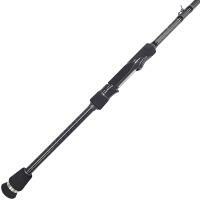 Travel and pack-rod versions of some of these rod types are also available for the angler on the go. Rods can be made in one-piece configurations which give the greatest strength and sensitivity, or in multiple pieces for ease of travel and storage. 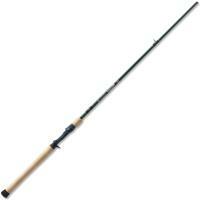 Many fishing rods over five feet in length are available in two to six piece models. Modern materials used for ferrules allow fishing rods with multiple sections to be nearly as strong and as sensitive as one-piece rods. While some rods can perform well as an all-around fishing rod, the modern angler can shop for the perfect fishing rod for their preferred style and budget. 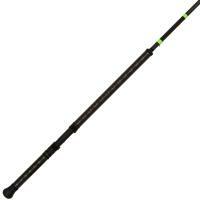 The top five brands of rods at FishUSA are Okuma, Daiwa, Shakespeare, St. Croix and 13 Fishing.